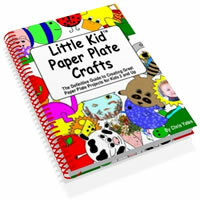 Welcome to my Autumn crafts for kids section here at create-kids-crafts.com. Autumn...a time of change. Capture the sights of Autumn with these easy, inexpensive Autumn crafts for kids. Dry a variety of leaves that have different autumn colors. Dry leaves by laying them between two sheets of paper. Put heavy books on top. After a few days, the leaves will be flat and dry. Tape thin paper to a tree trunk. Rub a brown crayon over it. A pattern from the tree bark will appear. Cut out a tree trunk shape from your bark rubbing. Glue it onto the blue paper. Glue on the dried leaves to form the top part of the tree. Dry some leaves. Dry leaves by laying them between two sheets of paper. Put heavy books on top. After a few days the leaves will be flat and dry. Sort the leaves by color, size and shape. 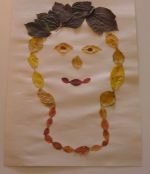 Arrange the leaves on the paper in the shape of a face. When you're happy with it, glue the leaves in position. Cut apples in half so that the "star" in the core shows. Dip in paint and stamp onto paper. Take a photo of your child/children in a lovely or fun autumn scene (ex:jumping in the leaves). Dry a variety of different colors and shapes of leaves. Dry the leaves by laying them between two sheets of paper. Put heavy books on top. After a few days the leaves will be flat and dry. Glue the photo to the center of the stiff paper. Glue leaves around the rest of the paper. Have your placemat laminated professionally or cover it with contact paper. Draw and cut out two identical pumpkins from the butcher paper(one for the front and one for the back). Paint or color and decorate your pumpkin. Staple the two pieces together until about half the pumpkin is stapled. Have an adult help with the stapling with younger kids. Then begin wadding up newspapers and stuffing the pumpkin. Staple the edges as the stuffing fills it up, until the entire pumpkin is full and staple shut. Go on a nature walk with your child and collect a variety of different shaped and colored leaves. Place the leaves between two sheets of newspapers and then place heavy books on top to press and dry the leaves for a few days. Once dry, arrange the leaves on a piece of colored construction paper and then glue in place. These make beautiful autumn crafts for kids with lots of vibrant colors of the season. Adult help required with glueing and boiling water. Fill jar up to 1/4 inch from the rim with water. Spoon in some glitter or confetti(not too much though). If you want to add something interesting to the jar though, such as a small toy or greenery, then you want to elevate the scene above the jar lid so it is in clear view. To do this, glue a plastic lid inside the jar lid or build up the area with a little extra florist clay. Be sure to leave the edges clear so you have room to screw on the lid. Seal the lid to the jar with a small amount of silicone sealant around the threads of the lid and close tightly. When the glue is dry, turn the jar upside down and watch your autumn leaves/colors fall. For further decoration you decorate the outside of the jar a bit in fall colors. For example, you could paint colored Autumn leaves around the outside of the jar or tie a ribbon or garland in autumn colors around the jar lid. 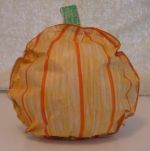 Click here to see more Autumn crafts for kids. NEW! Visit our other website www.discover-preschool-activities.com for lots of free preschool activities!